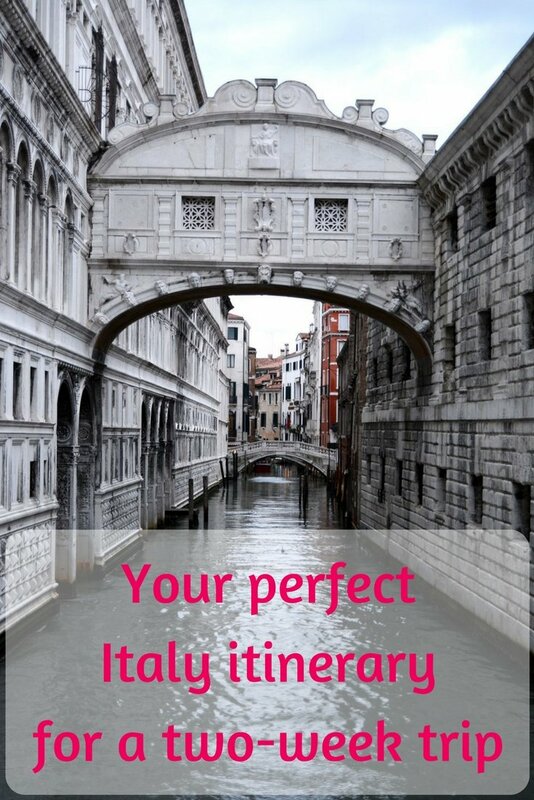 You’ve been planning a two-week Italy itinerary for a while and still feel in a stalemate? Don’t worry, you’re not alone. The country is so packed with things to do, wonderful places to visit, and great food to try that anyone travelling to Italy for the first time is bound to feel overwhelmed. Fret not, we’re here to help. This guide of ours, even though extensive and detailed, will touch the most popular Italian cities, those places you really can’t afford to miss if it’s your first time in this beautiful country. We will squeeze as much as we can in a two-week Italy tour itinerary. If you want to enjoy a place longer, visit more attractions or take some day trips, you can easily spend 3 weeks in Italy. While if you have less time, you can avoid some attractions and spend 10 days in Italy. For sure, we give you the essential tips on how to plan a trip to Italy on your own. It’s not strictly a Rome Florence Venice itinerary, it includes also other places, but it’s pretty classic. If it’s not your first time in Italy, check out our other guides on specific areas like Sardinia, Sicily in the cities of Catania and Agrigento, and Trentino Alto Adige, both its cities and the Dolomites mountain range. Granted, with so much to see, planning a 2-week trip to Italy is not easy. Our extensive guide will provide you with the essentials to organize a perfect vacation your own. We will see when is the best time to visit Italy depending on what type of holiday you want, we will suggest the best car rentals in case you want to embark on an Italy road trip, we will tell you what to pack and obviously what to visit to make your holiday smooth and unforgettable. This guide will empower you to plan a trip to Italy your own. For each city, we will provide you with the best day tours if you wish to optimize the time you can devote to the place and have more in-depth information. At the end of this guide, you will also find a selection of the best tours to Italy in case you want a hassle-free holiday where expert organizers take care of the details and the logistics for you. Milan is Italy’s “Wall Street”, a bustling financial hub that attracts businessmen for work or business-oriented travellers. However, with a long history and a good deal of historical landmarks and artistic attractions, Milan has been imposing itself also as an exciting tourist destination for travellers from all over the world and we suggest you don’t skip it on your 2-week Italy itinerary. The Duomo. The most popular among Milan’s landmarks, the city’s cathedral is a must. Its Gothic facade never fails to bedazzle visitors and passers-by, the inside is a fascinating journey into Milan’s history and culture, and its rooftop gives you a great view of the city and its architecture. Click here for Walks of Italy’s Best of Milan Tour that includes a visit to The Last Supper and the Duomo’s rooftop. Sforza Castle. Residence of one of Milan’s most prominent families, the Sforza Castle today hosts several exhibitions, both temporary and permanent, as well as being a cultural centre. Galleria Vittorio Emanuele II. Known as Milan’s parlour, this long covered gallery is lined with cafes and shops of the most exclusive brands. It’s close to the Duomo’s square, so you can’t miss it! Da Vinci’s The Last Supper. Don’t miss the famous mural painting by Leonardo Da Vinci in UNESCO-listed Santa Maria delle Grazie church, beautiful Renaissance building by architect Donato Bramante. La Scala Opera House. Milan’s opera house, this is a beautiful Neoclassic building worth a visit even if you are not going to see the performances. You can visit both La Scala and the museum but call first because if there are rehearsals you can’t visit the theatre hall. Navigli. Milan’s canals are a great place for a walk both day and night. This is one of the favourite hangouts for aperitivo, dinner or a night out. Check out our extensive guide to Milan to read more about the things to do, hotels and restaurants in Milan. The next stop in your two-week trip to Italy is La Serenissima, so book your Milan to Venice train and get to one of the world’s most romantic cities. Click here to check timetables and prices with RailEurope. One of the most popular destinations in Italy, Venice is as gorgeous as it gets. Unprecedented views, a unique urban landscape, and a long history are the perfect combination for an unforgettable trip. And if you go for the Carnival, the colourful and fascinating masks will add to the charm of the city. How many days in Venice? We suggests 2 to 3 but it really depends on how much time you have, how much you want to enjoy and explore the city and, last but not least, by your budget. Piazza San Marco. One of the key landmarks in Venice that make the city famous is its central Piazza San Marco, the very first place tourists visit. Surrounded by San Marco Basilica and the Doge’s Palace, this piazza is really gorgeous. St. Mark’s Basilica. One of the most symbolic buildings in Venice, San Marco Basilica is a gorgeous piece of Oriental-style architecture dating back to the 11th century. Click here to book the exclusive tour of St. Mark’s Basilica after closing time. Doge Palace. Standing exactly where it stood throughout the centuries, the majestic Palazzo Ducale is an important piece of the city’s republican past. Get a VIP entrance to the Doge Palace with Walk of Italy’s Secret Passages tour. Jewish Ghetto. Europe’s oldest Jewish ghetto, Venice one was created in 1516 and is now a lovely neighbourhood to stroll around the city’s traditional architecture and eat delicious local treats. Canals and Bridges. The beauty of Venice is in its architecture and this is directly related to its unusual layout. Instead of streets, in Venice you have canals and bridges, instead of buses, you will take the boat or if you don’t mind forking out good cash, a gondola. 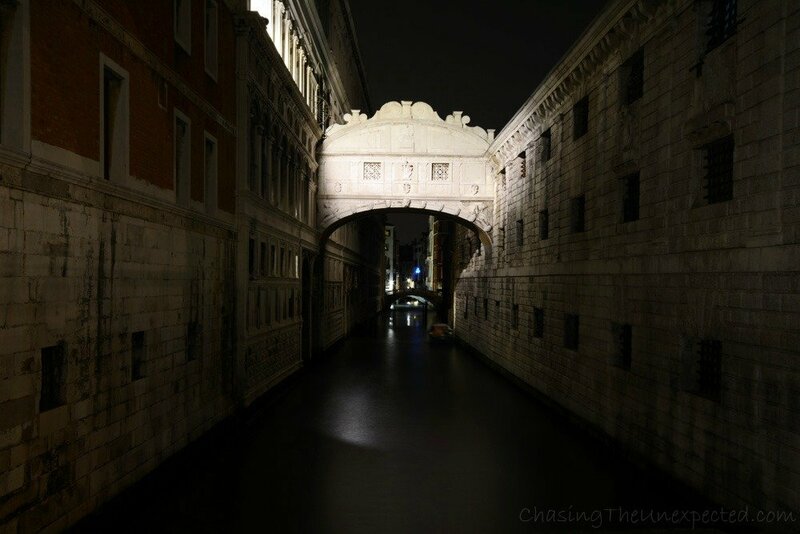 One of the most scenic things to do in Venice is certainly strolling around its bridges, Rialto and the Bridge of Sighs being the most famous. Click here to book Venice Boat Tour to visit the city and its bridges from the water and cruise the Grand Canal. Gallerie dell’Accademia. The art gallery that hosts the larger collection of Venetian paintings from the Byzantine and Gothic 14th century to the Renaissance. Basilica dei Frari. Often neglected by the hasty traveller, this monumental Basilica is 102-meter long and boasts an impressive collection of artwork and 17 altars. It’s also the resting place of several notables, from Antonio Canova to Titian to several Doges. Unless you are part of an organized tour, from Venice to the Cinque Terre, I definitely suggest you take the train as it’s cheap, comfortable and you can find different times of departure. Click here to book and see the prices on RailEurope. ⇒ Before leaving northern Italy, take a day-trip to Bologna and try some of its famous dishes! The quaint villages of the Italian Riviera never fail to bedazzle travellers from all over the world. If you want to spend three weeks in Italy, you can stay a bit longer in Liguria region and explore also cities like Genoa and La Spezia. Alongside the five scenic villages part of the Cinque Terre, La Spezia’s coastline boasts also other towns worth a stop, such as Portovenere, Le Grazie, and Levanto. The five villages known as Cinque Terre are Monterosso, Manarola, Vernazza, Corniglia, and Riomaggiore, and each of them has its own beach, views, and features. Close to La Spezia, the capital of the province, are also beautiful places like Lerici and Tellaro, sea resort cherished by writers and artists. Being on the coast, you will find great fish restaurants. Check out our complete guide for more info on a Cinque Terre holiday. If you feel tight with time and prefer to stick to the bigger cities, you can always take a day trip from Rome to the Cinque Terre by the high-speed train that will give you a good glimpse of the great views of these gorgeous coastal towns and the local cuisine. Click here to see availability and price. From Cinque Terre to Florence, too, you can take the train. First, a regional to get to La Spezia and Genoa, then a high-speed train to Florence. Click here to check timetables and prices with RailEurope. The birthplace of the Renaissance, Florence is included in most tours, so very likely your Italy travel itinerary will have it, too. Its history was heavily influenced by the rule of the Medici family, and today we can still see much of their legacy. Walking around Florence will fill you with beauty and culture. Enjoy its ancient art and architecture all around the city centre, walk along the Arno river and linger in the Ponte Vecchio bridge for some shopping and photo snapping. Duomo and Giotto’s Bell Tower. Santa Maria del Fiore Cathedral and the adjoining bell tower and gorgeous Baptistery are possibly the most photographed and visited landmarks in Florence and for sure one of the first places travellers head to as soon as they arrive. Click here for a full experience of Florence Duomo and Michelangelo’s David. Uffizi Gallery. A huge art collection, at the Uffizi you will find the paintings and statues of some of the world’s most famous artists such as Leonardo Da Vinci, Botticelli, Caravaggio, Raphael, Cimabue and many others. Here the line is very long, so if you want to skip it and optimize your time inside the museum with a guide, check out Walks of Italy’s 3-hour Uffizi Tour comprehensive also of Palazzo Vecchio. Santa Maria Novella Basilica. 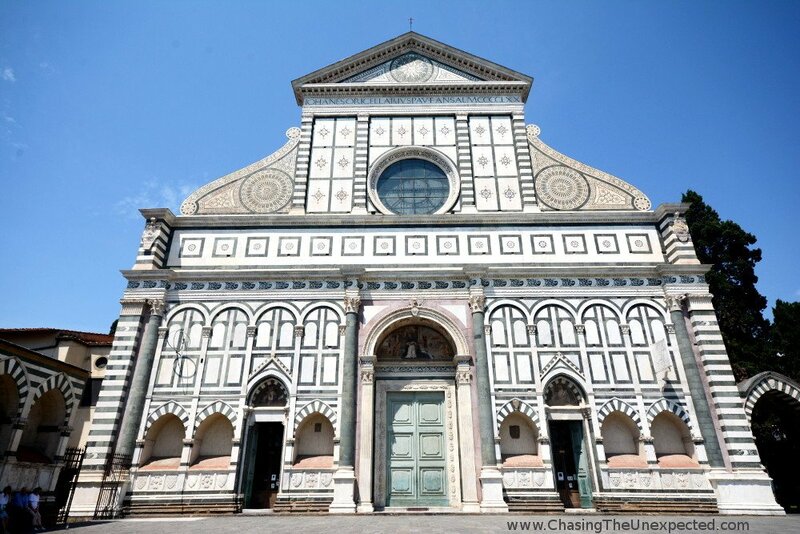 Located near Florence main train station, this beautiful Dominican basilica built with a mix of Gothic and Romanesque styles includes great artwork, paintings, chapels, a big garden and a cloister. Pitti Palace. Residence of many of Florence ruling families, Palazzo Pitti today is a large complex of art galleries and royal apartments. Boboli’s Gardens. Adjoining to the Pitti Palace, the elegant Giardini di Boboli were built in 1418 when Luca Pitti bought this vast land with the aim to build a mansion (Pitti Palace will be built 40 years later). One of Florence largest parks, Boboli Gardens are one of the most important examples of Italian gardens of the 16th century. San Lorenzo Cathedral. The personal cathedral of the powerful Medici family, San Lorenzo huge church also hosts a museum showing the donations received in the centuries, most of them by the same Medicis. Close is also the burial place of the Medicis, known as Cappelle Medicee. The whole region of Tuscany is amazing, so if you can stretch your holiday a couple more days, you might like to explore also other cities such as Siena and Pisa and the countryside with a day trip from Florence to the Chianti region and San Gimignano town. Click here to check availability and price. Click here to search for more hotels in Florence. Florence is not too far from Rome, with Trenitalia’s Frecciarossa or Frecciargento high-speed trains, it takes an hour and a half. Click here to book and see the prices on RailEurope. The capital of the ancient Roman empire boasting some 3000 years of history and rich civilization, the places to visit in Rome are endless. From the archaeological sites of the Roman Forum to the quaint neighbourhood of Trastevere to the Vatican City, the more you manage to devote to Rome, the better you will experience the city. It goes without saying that Rome is a must-see, especially if it’s your first 2-week or even a 10-day trip to Italy. Colosseum. Possibly the most famous and photographed landmark in Rome, the Coliseum was built in 70 AD to host fights among gladiators, public shows, animal hunts and even naval battles. Roman Forum. Located in the valley between the Palatine and the Capitoline Hills, the Roman Forum was the heart of ancient Rome, where senators and public figures held their speeches, where they organized the city’s markets, court trials and pretty much everything concerning the public life. Click here for the VIP Colosseum and Roman Forum Tour. Baths of Caracalla. Gorgeous ancient public baths, these included also a gym, a library, and different rooms for the baths experience and a wellness centre. They are often skipped for lack of time, but if you can make it, they are really beautiful. Vatican City. The seat of the Christendom and papal residence for centuries, the Vatican City is packed with sites to visit such as the Sistine Chapel, the Vatican Museums and obviously St. Peter’s Basilica. If you want to fully enjoy the Vatican, the best thing you can do is to skip the lines, especially to the museums and the basilica. 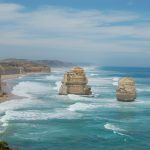 In this case, the convenience of booking a tour, apart from VIP access, is that your guide will take you directly to the places you shouldn’t miss, so you avoid hanging around looking for a way. The Vatican is really big! Click here to see Walks of Italy’s Private Vatican Tour. Trastevere. A gentrified former working-class neighbourhood, Trastevere is the place to go for a good night out. During the day, however, you can also visit the museum of Roman popular traditions that sometimes hosts also temporary exhibitions and Villa Farnesina where are Raphael’s frescoes. Hadrian Mausoleum. Built by Emperor Hadrian as his own funerary mausoleum in the 2nd century, this is also known as Castel Sant’Angelo and is located along the Tiber River, giving beautiful views both day and night. Pantheon. A very old building, it was a temple devoted to all gods built with an “oculus”, a hole in the big dome to symbolize the direct contact with the divine. Now it’s a Catholic church that hosts several tombs of members of the former royal family and of the famous painter Raphael. Piazza Navona. Huge elliptical piazza in the city centre not far from the Pantheon, Piazza Navona has three fountains, the largest being Bernini’s Four Rivers Fountain standing in front of Borromini’s Sant’Agnese church. Spanish Steps. Rome’s most famous staircase, the Spanish Steps lead to St. Trinità dei Monti church, ordered by French king Louis XII, while at the bottom you can view Bernini’s sculpture known as La Barcaccia. Trevi Fountain. 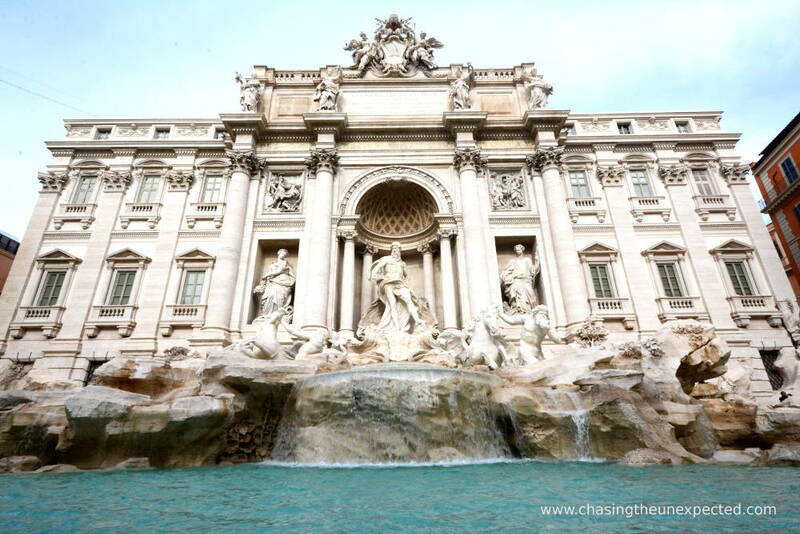 An absolute must, especially if you are visiting Rome for the first time, is Trevi Fountain, the gorgeous baroque fountain built between 1732 and 1762. Rome is divided into “Rioni”, neighbourhoods, and each of them has its own landmarks and personality. From Prati to Trastevere to Testaccio and Ostiense, countless are the things to see in Rome, the restaurants where you can try the traditional food, the park where to run, jog or chill out for an afternoon, the museums, the palaces and more. To get around and see how to best enjoy Rome, check out my full guide of the city, or click here to see what are the best Rome tours if you wish to save some time but still visit the most important sites. If you want to fully visit the Vatican City and don’t miss anything of the art and history of the Holy See, you can read my full guide to the Vatican that will help you get around and find out what to visit and how to book without wasting time. Finally, click here for several options of hotels in Rome. My eBook “Tasting Rome by Neighbourhood” suggests five daily Rome itineraries in as many districts, giving you the chance to explore the popular and lesser-known areas of the city stopping to eat in the best restaurants along the way. All the meals of the day are covered, from breakfast to dinner, with some suggestion also for aperitif and gelato. The next stop when planning a trip to Italy for the first time is Naples, the gorgeous capital city of Campania region not too far from Rome. With Trenitalia high-speed trains you will reach it in a little more than an hour. Click here to book and see the prices on RailEurope. READ MORE: Find Rome’s best restaurants with our comprehensive guide to the top places to eat in Rome. Famous for having invented the pizza, alongside a delicious cuisine, Naples has a lot to offer to the curious traveller who wants to dig deep into the local history and culture. Walk around its city centre, enjoy the view of the Vesuvio volcano and the beach, explore its wonderful coastline and soak in its rich tradition. Royal Palace. Naples’ Palazzo Reale is located in Piazza del Plebiscito, an old square that in the Middle Ages was used for public tournaments and shows in the age of the Bourbons. It has been made pedestrian so now it’s the place where locals and tourists like to relax in a historical promenade. Archaeological Museum. Launched in 1816, Naples’ Museo Archeologico displays a huge collection of ancient relics, among which you will find relics from Pompeii and others from the Greek-Roman age, Etrurian and Egyptian, and ancient coins from a private collection. Duomo. Naples’ Santa Maria Assunta Cathedral shows the paintings of Luca Giordano and is the place where locals worship San Gennaro, patron of the city. Here you can also see the Treasure of San Gennaro, all the precious donations given by kings, presidents, and leaders of the world for centuries. Spaccanapoli. This is the long road built by the Romans to better organize the city, and it runs from the Quartiere degli Spagnoli to Forcella district. Wandering this road you will also wander the city’s history and multifaceted society. Here, in fact, you are going to see old buildings, churches, shops, abusive street vendors and local restaurants that release the unique scent of Napoli’s cuisine. Sansevero Chapel and the Veiled Christ. A hidden gem near Spaccanapoli is Cappella Sansevero where you can admire the incredible sculpture of the Veiled Christ (Cristo Velato), a masterpiece by Giuseppe Sanmartino where you will totally mistake the marble veil that covers the body of the Christ for a fine fabric! Underground Naples. Beneath the surface, you can visit another Naples, the hidden spots, and nooks that citizens have used for different purposes such as shelter during the bombings, the hideout for the runaway criminals and water spring. Today, you can visit also museums, the relics found after ongoing archaeological diggings, and the Bourbons Gallery. Pompeii and Ercolano. I know time is short, but once you are in Naples, we recommend you devote a day to visit the ruins of the ancient cities of Pompei and Ercolano, destroyed by the Vesuvio eruption in 70 AD. They are very easy to reach via a short ride on the Circumvesuviana train and you can spend there the whole day. Click here to see reviews and prices for the tours and activities available in Pompeii. Click here to search for hotels in Naples. If you want to enjoy your holiday as relaxed as possible and you would rather delegate all the logistics to an expert tour guide, then a full Italy tour package is your best bet. Both G Adventures and Intrepid Travel organise great tours of Italy. Whether you are looking for a one-week Italy itinerary, a 14 days Italy vacation package for two or for the whole family, many are the companies that offer them. G Adventures’ Ultimate Italy Tour takes you to the most popular destinations going beyond the Rome Florence Venice itinerary and visiting also the Cinque Terre, Lake Como and Montepulciano in the Tuscany countryside. Their Highlights of Italy Tour is shorter and in a week you will see the most important places and their main landmarks such as The Last Supper in Milan, the Pantheon in Rome, and the Leaning Tower in Pisa, among the others. If one of the main reasons that brought you to Italy is food, then you might enjoy one of the day tours organized by Eating Italy Food Tours that alongside introducing you to the diversity of the Italian cuisine, are a great opportunity to tuck into local delicacies in the best eateries, from exclusive deli stores to popular restaurants. Intrepid Travel organizes a great 10-day tour, Experience Italy, that will allow you to enjoy Italy with all senses, both visiting important landmarks and sampling the local delicacies in each city you will visit. If you can afford three weeks on holiday, check out the great Classic Italy tour with Intrepid Travel for a full immersion on all things Italian. You will enjoy Italy from Rome north, stopping in regions like Tuscany and Umbria for a taste of traditional cuisine and local life, you will explore the famous art and architecture of Rome, Florence, and Venice, and also admire the colourful coastline of the Cinque Terre. For those who want to get off the beaten path and visit some lesser known gems such as Assisi, the hills of Umbria region, the city of Sorrento in Campania, and wandering back alleys in smaller towns, check out Italy Uncovered tour by Intrepid Travel. Every season is a good time to visit Italy. Do you want to enjoy the beach? How about Sardinia, Sicily or Puglia in summer? July and August are hot but very crowded, but if you can make it in June or even in September after the crowds are gone, you will love it. If you are a practising Catholic and want to enjoy our religious celebrations in the capital of the Christendom, then Christmas or Easter in Rome is ideal. Even though winter is cold, in northern Italy very cold, actually, this is a great season if you are a ski lover, or even to visit more southern regions as the weather is not too harsh. Spring is a great time to visit Italy, flowers are blossoming, colours are bright and scents are intoxicating. Plus, the weather is lovely and even if sometimes it does rain, it makes for a very pleasant walk. Autumn is also a good season as it’s not too hot anymore and not cold yet, so easy to walk around. During Fall, too, it can rain, but the colours of the falling leaves are very romantic. Italy has a great and very widespread railway system, so if you are travelling independently, you can totally rely on Trenitalia or Italo Treno. 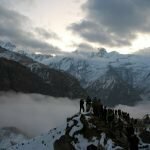 After each city, I mentioned the transport you can book to get to your next stop but our trains are great to reach also smaller towns and even tiny villages. The perfect way for travelling around Italy for 2 weeks. So if you are in Rome and want to visit nearby towns like Bracciano or Viterbo, you can easily take the train, or reach the towns of Terni, Perugia, Orvieto, or even if you are in Sardinia, the railway really reaches improbable tiny villages. If you are visiting the cities and towns within the railway network, you are covered, but if you are planning on getting off the train route, relying solely on the buses might not be as straightforward. In this case, I suggest you rent a car, definitely the best option for an Italy road trip. Among the most popular car rentals in Italy is Hertz because they provide a wide range of cars, they are pretty much everywhere, and their services are diverse to meet all customers’ needs. Click here to see their prices and reserve a car. You can decide what to pack for Italy when you know in which season you are taking your trip. For example, since Spring is a very popular season, what to wear in Italy in May? While the weather is lovely this time of the year, it can sometimes be tricky as temperatures change all of a sudden. My advice would be to wear different layers so that you can cover quickly if you stay out all day until evening when it’s usually colder. So if you are planning a 2-week trip to Italy in Spring, make sure you pack some pretty flexible clothes and are ready for the warm and crisp weather. On the other hand, what to wear in Italy in September? The beginning of the Fall in Italy is pretty nice as the summer heat is mostly gone and the winter cold has not arrived yet. Mostly, you can wear summer clothes with some jacket, light jumper, and a light scarf for the evening. You might find some showers, too, so make sure you pack an umbrella. Better if small so you can carry it around easily. If you are wondering what to pack for Italy for the winter, it’s pretty straightforward: definitely warm clothes, a jacket, a coat, warm trousers, soaks and everything you are comfortable with. Quite straightforward is also packing for a summer Italy trip: shorts, t-shirts, sandals or summer runners, and obviously a bikini if you are going to the beach! Avoid annoying online surcharges and nasty surprises by weighing your suitcase with one of the best digital luggage scales. Sadly, on the public transport in Rome, you need to be careful to the pickpockets as it’s still a problem both on the buses and on the metro. This is why, for your peace of mind, you might want to wear a security belt like Active Roots’ one. It’s easy to adapt to any type of travel clothes, it fits both men and women, and it’s easy to hide your cash when you are out. If you want to be extra careful, you can buy more types of anti-theft clothes, Clever Travel Companion has a great choice of models, colours, and clothes such as scarves, boxers, leggings, tops, t-shirts, women’s underpants and more. Click here to check models and prices.